Total talks terms of receiving first gas from "Absheron"
The first gas from the Absheron field is planned to be received in 3Q2020, the French company Total, which is the operator of the field development told Trend. "Absheron first phase of development is ongoing: drilling of the first development well started in February 2018 and is planned to be completed by mid-2019. The detailed engineering for facilities started in August. The first gas in planned in 3Q2020," the company stated. In general, the first phase is based on an "early production scheme", Total noted. "That is one single development well is tied-back to Oil Rocks facilities through a 35-km subsea line. A platform will be built in Oil Rocks to receive the Absheron effluents and pre-process them prior being handled in existing facilities. The development scheme of second phase is defined, but will need to be tuned based on data to be collected during drilling of the first development well. Some synergies with existing facilities are also looked for in order to optimize this scheme," the company noted. Total also stated that some talks with the Azerbaijani state company SOCAR about Umid-Babek are ongoing at the moment. 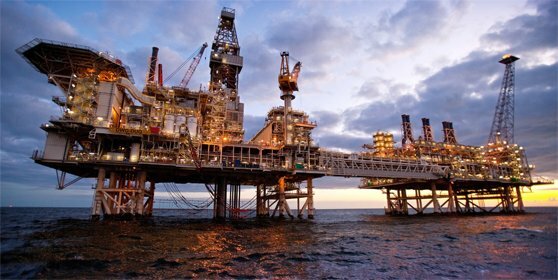 Azerbaijan’s state oil company SOCAR and Total signed a framework agreement in 2016 on the main contractual and commercial principles regulating the program of the first phase development of the Absheron field. The first phase of the field’s development envisages drilling of one well at a sea depth of 450 meters. The production will stand at 1.5 billion cubic meters of gas and 700,000 tons of condensate per year and these volumes will be used in Azerbaijan’s domestic market. It is planned to produce up to 4 billion cubic meters of gas at the second stage. Absheron’s reserves are estimated at 326 billion cubic meters of gas and 108 million tons of condensate, according to the estimations of Total specialists. JOCAP, is a joint venture with 50 percent ownership by SOCAR and the remaining 50 percent - by Total, the operator of the development of the Absheron field.